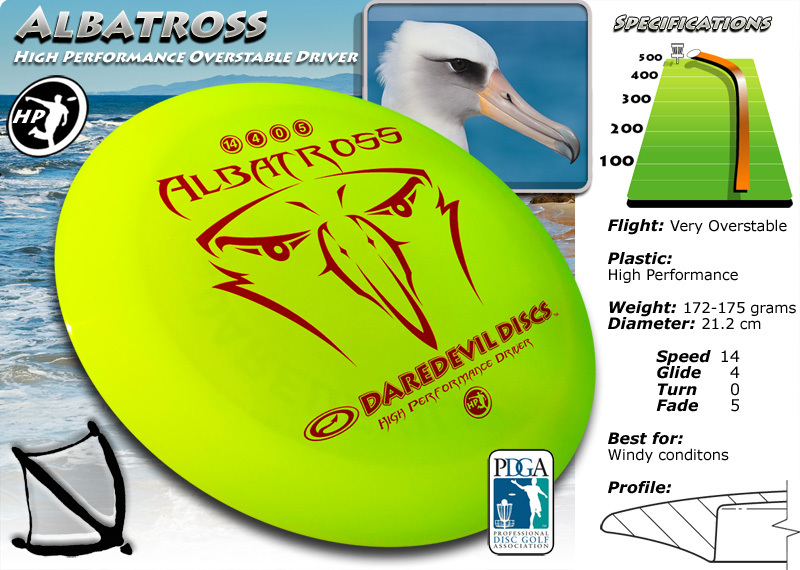 Score an albatross with an Albatross. That’s right. We said it. Daredevils Discs’ newest big wing driver is the biggest wing of them all. 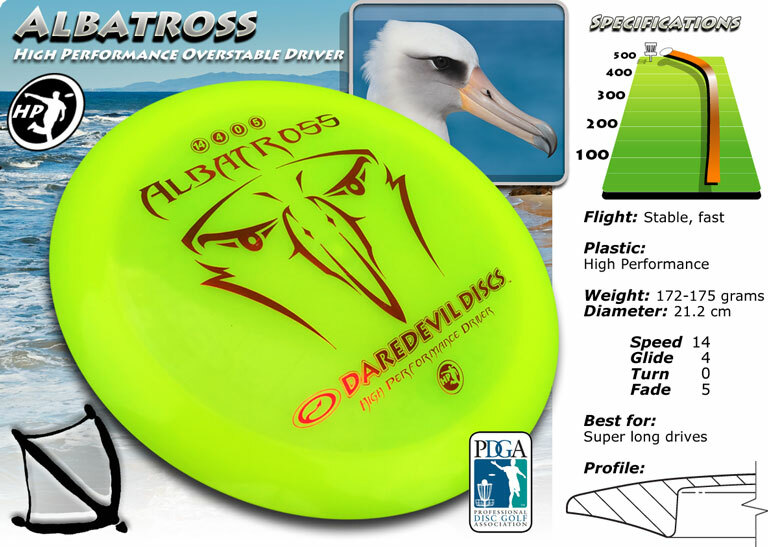 With a speed rating of 14, the Albatross will soar great distances and glide over all obstacles to easily reach its desired final destination; par 4 greens. Throw it hard and throw it far! An albatross aloft can be a spectacular sight. These feathered giants have the longest wingspan of any bird—up to 11 feet (3.4 meters)! The wandering albatross is the biggest of some two dozen different species. Albatrosses use their formidable wingspans to ride the ocean winds and sometimes to glide for hours without rest or even a flap of their wings. They also float on the sea’s surface, though the position makes them vulnerable to aquatic predators. Albatrosses drink salt water, as do some other sea birds. These long-lived birds have reached a documented 50 years of age. They are rarely seen on land and gather only to breed, at which time they form large colonies on remote islands. Mating pairs produce a single egg and take turns caring for it. Young albatrosses may fly within three to ten months, depending on the species, but then leave the land behind for some five to ten years.